These Black JVC Sport headphones feature an inline microphone with controls, powerful sound in a small package, a splash proof design for sports and exercise, and a secure and comfortable fit with adjustable ear clips. 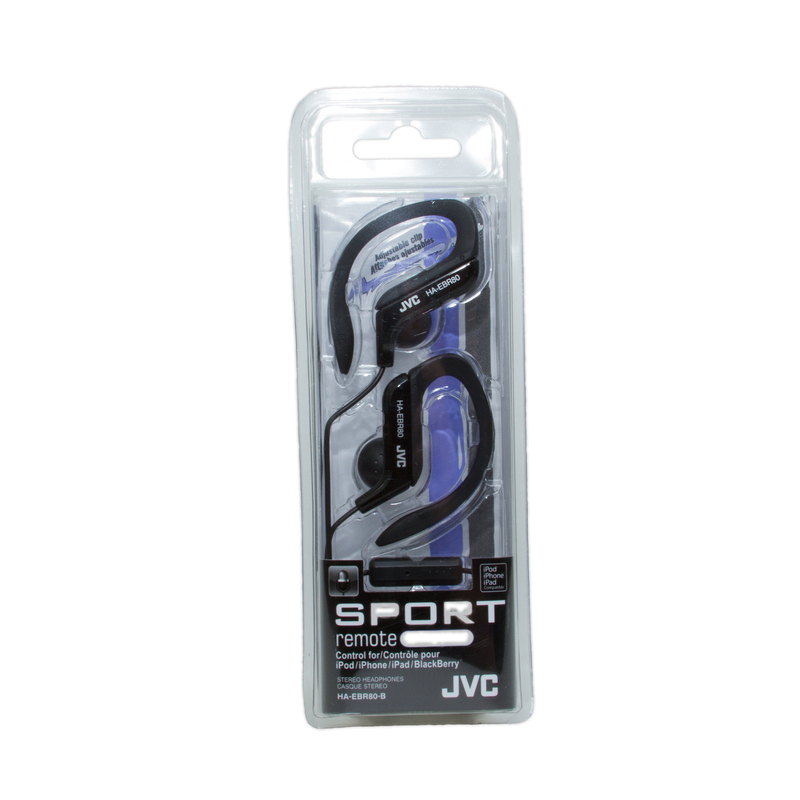 The attached cord is 1.2 meters long (3.94 feet) and has a 3.5mm stereo male plug. Pair these up with your latest mobile device for music and phone calls on the go, at work, rest, or any where else you enjoy music or the latest great podcast. The inline controls offer Play/Pause, Skip, and Call function.